Hello! I’m two weeks into school and cruising along. 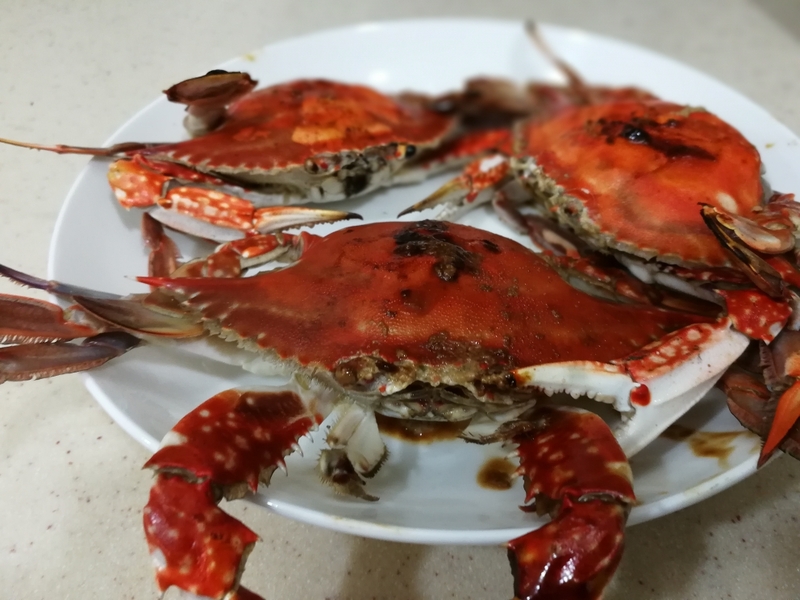 Speaking of cruising, our driver, Mr. Yu, was cruising along the wet market when he saw insanely cheap and insanely fresh blue crabs. A phone call and a short wait later, 9 of them arrived at our kitchen. My first thought was to steam them, but Mr. Yu had a better idea- Wok grilling. Last post, I promised a recipe, but it’s so simple there’s no need for one. 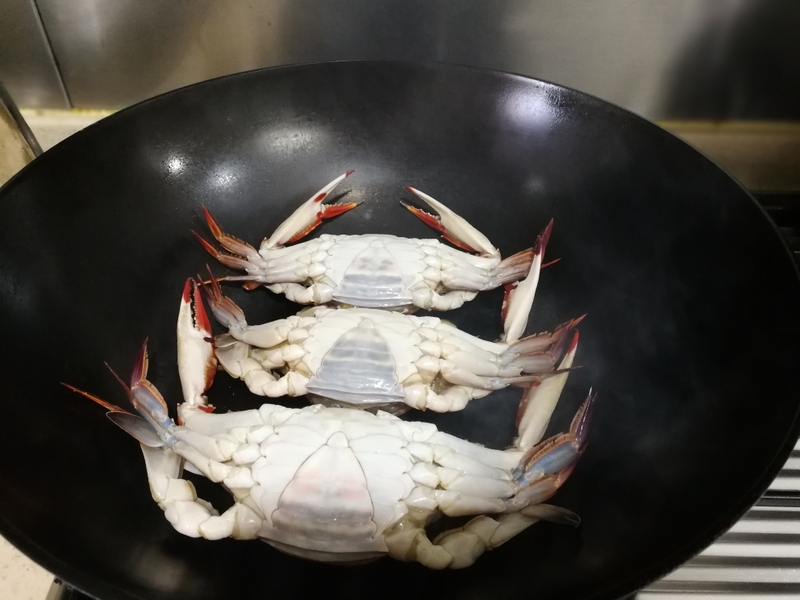 Heat a wok or large pan on medium high heat and place the crabs shell side down. After about 8-10 minutes, add 2-3 tablespoons of rice or cooking wine and wait 2-3 more minutes. Viola! Done! To get the most out of these crabs, serve with some ginger and soy sauce. I honestly can’t believe we steamed any crab other than the hairy ones for so long. These crabs were DIVINE!!!! Steaming does wonders in preserving the moisture of the meat, but tends to dilute the flavor. 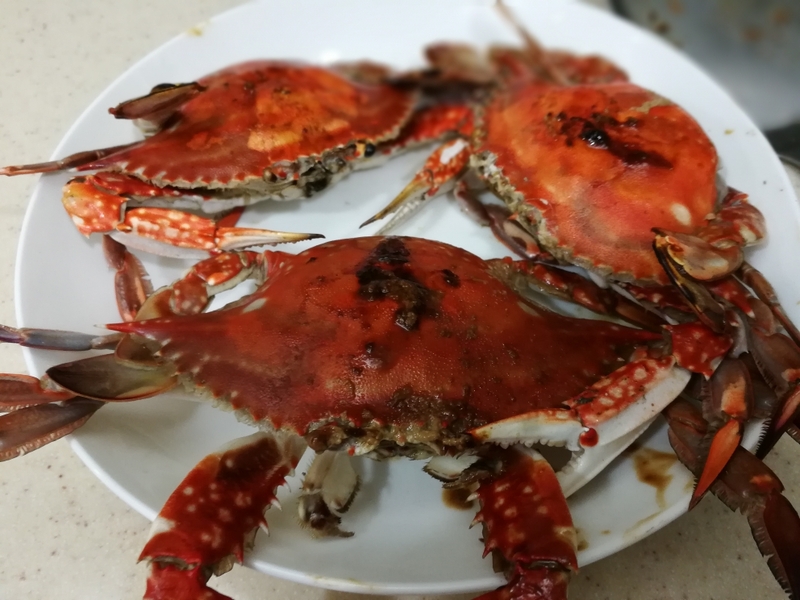 Grilling, provided you don’t go crazy with the heat or time, preserves the beautiful natural salty-sweetness of the crab. Even better, the crab is literally cooking in its own juices. There’s only 1 downside. The roe tends to bubble out a bit and burn. Honestly, there’s really no good way of preventing it all together. 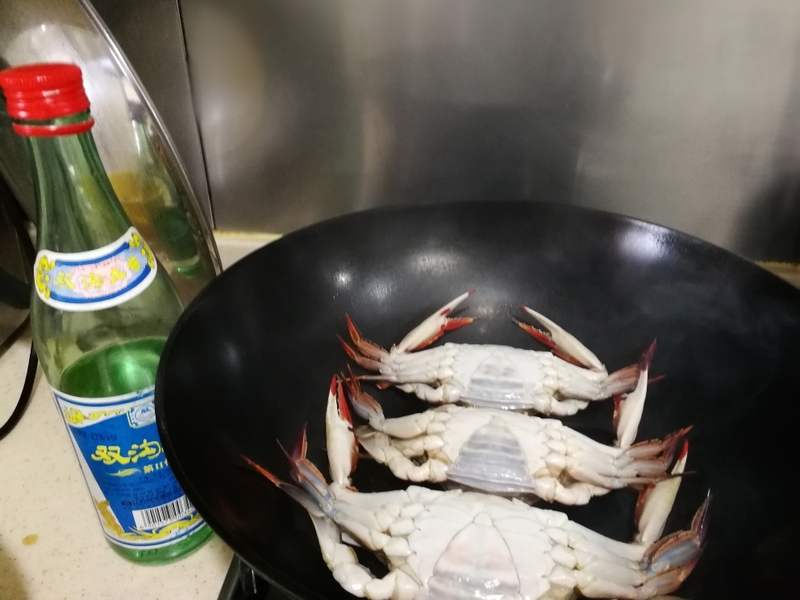 Just remember to cook the crabs shell side DOWN and reduce the heat a bit once things start bubbling. I hope you all enjoyed this short little recipe. If you guys try this, please comment with the results. See you guys next week!